Desert Trip put on the brakes Sunday to what the media and fans were calling a truly magical two-weekend ride. It was a completely different journey than Goldenvoice’s sister festivals in Indio, the Coachella Valley Music and Arts Festival and Stagecoach: California’s Country Music Festival. 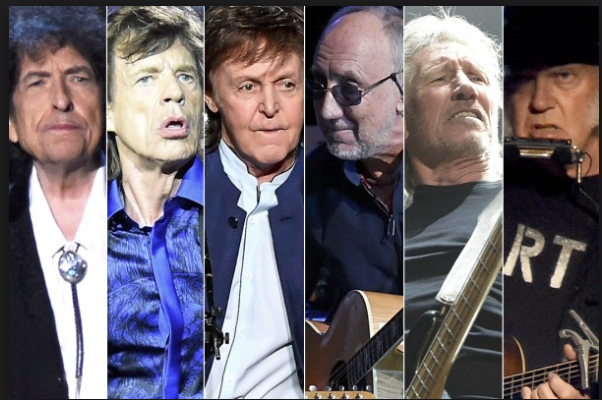 Desert Trip not only featured classic rock stars and attracted a mostly older crowd, but the energy was different as well. There are many similarities between the two events, but with subtle differences. Both events, for example, have become celebrity magnets. Seen at Desert Trip this weekend were Miley Cyrus, Emma Stone, Woody Harrelson and Kate Hudson. Seen last weekend were Leonardo DiCaprio, Sean Penn, Rob Lowe, Christian Bale, David Spade and Hudson’s mother Goldie Hawn. Instead of the celebrities appearing at off-site parties with announcements of their appearances by publicists, as they do at Coachella, the stars came to watch the music, sitting in private, curtained suites in the grandstands. A Goldenvoice spokesperson said there was actually more national media at Desert Trip than at Coachella, although the press tent didn’t have nearly as many reporters working on deadline as at Coachella. Palm Springs resident Nancy Cobb, who attended both weekends, said, “I thought every group improved on their game” the second weekend. But Cobb, who calls herself an excessive Bob Dylan fan, didn’t attend the second Sunday shows. She gave away her pass to see Dylan perform in Phoenix. The Who performed the same set on Weekend 2, with the same level of consistency as it did in Weekend 1. Guitarist Pete Townshend almost fell during one of his signature jumps, but he generated excitement with his power chords with windmill wind-ups and nailed his power slide on “Won’t Get Fooled Again.” Vocalist Roger Daltrey had trouble with the difficult “Love Reign O’er Me” from “Quadrophenia,” but nailed the scream on “Won’t Get Fooled,” bringing back memories of that 1970s anthem. Roger Waters began his set with the same Pink Floyd material he performed last weekend. Observers were expecting a more contentious reaction to Waters. Many of the fans walked out of his show last weekend when Waters verbally and visually attacked Donald Trump on a floating pig, and read a statement supporting a boycott of Israeli products.